Effective employee relations efforts foster mutual respect and trust between employee and employer. Environments where employees have confidence in leader’s motives and feel valued for the work they do typically have higher engagement rates. Study after study has shown that higher engagement rates lead to increased productivity. For that reason, companies of all sizes should consider employee relation efforts as priority. Whether your company has a dedicated employee relations group or employee relations falls under general Human Resources, there are markers that can help you measure the effectiveness of your efforts. Likely the most commonly used and well known, employee surveys can be an effective way of understanding the level of trust and confidence that employees have in leadership and the company overall. These surveys can provide crucial information into the minds of employees and help determine whether employee relation efforts are working. Common themes that pop up on survey data are clear indications that employee relations in that area are suffering. Causes – What caused the issue? Was it something that has been addressed before? Was it leadership action such as lack of communication or transparency. Issues centered around communication or behavioral situations that continue to resurface may demonstrate that employee relation efforts are not hitting their target. Process – Reviewing how an issue followed the path from airing to solution can be a key component in measuring employee relation efforts. How long did it take? How many hoops did the employee feel they had to jump through? How did leadership respond to the issue and subsequent outcome? 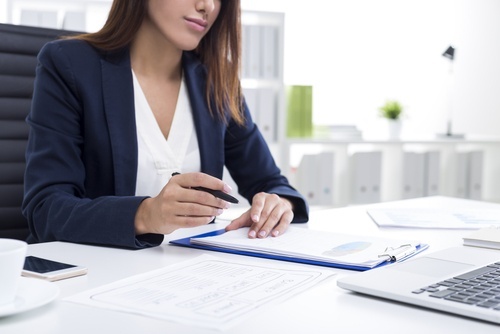 Thorough notes are vital to assessing this step, so documentation must be kept through the entire process; an employee relations management system is elemental in carrying this out. Legal recourse – If an employee feels like they do not have a proper outlet to air a complaint or if they feel their issue is not being handled appropriately, they may feel the need to seek outside legal advice. This is a clear indicator, especially if the employee jumped straight to this route, that employee relation efforts are failing. Employers who create an environment where employees feel heard and valued, can typically resolve issues without the addition of outside counsel. Outcome – What happened after the issue was considered closed? This is the most telling measure of the effectiveness of your employee relation event. Did the employee stay with the company? Did they continue to be engaged in their work? Were other employees, not even a part of the initial situation, affected in a negative manner? The employee doesn’t always have to agree with the outcome, but are they content with the way it was handled and understand the decisions made? Oftentimes, after a yellow light issue is considered closed, the topic is never mentioned again. In order to truly measure employee relations effectiveness, conversations around the process have to happen. Employees, leaders and the employee relations groups need to review survey data and how yellow light procedures are working in an effort to understand where they are doing well and where they can improve. Any employee relation effort is only as good as its implementation and process, so consistently tracking and measuring these areas will be crucial to continued success and employee engagement.